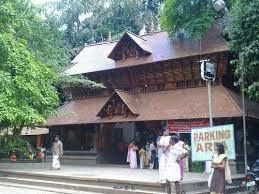 Here is Some Information about Mannarasala Sree Nagaraja Temple in Haripad Kerala India. 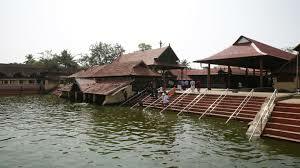 The Mannarasala Sree Nagaraja Temple is located Haripad, 32 km south of Alappuzha Kerala.the temple is dedicated to Nagaraja, the serpent God, Nagayakshi and Sarpayakshi. The main temple has two main sanctums, one for Sarpayakshi and the other for Nagaraja.The ancient shrine is an internationally renowned pilgrim centre dedicated to the Serpent God - Nagaraja. Sarpa Yakshi and Naga Yakshi are the beloved consorts of Nagaraja. 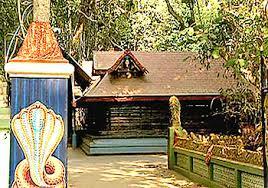 It is believed that Nagaraja as the installed diety is endowed with the form of Hari (Lord Vishnu) and the spirit of Lord Shiva.The temple covers an area of 16 acres of dense green forest grove. The two main idols are Nagaraja or the serpent king and his consort, Sarpayakshini. The most popular offering of this temple is ‘Uruli Kamazhthal’, the placing of a bell metal vessel upside down in front of the deity, which is believed to restore fertility to childless couples. Mannarasala. There are many legends associated with the temple. It is believed that the first priestess of Mannarasala gave birth to a five-headed snake referred to as 'Muthassan' or 'Appoppan' (grandfather), which is believed to reside in the cellar (Nilavara) of the ancestral house to safeguard the family. The asterism 'Ayilyam' of Malayalam months- Kanni, Tulam and Kumbham - or the months of September and October, is celebrated with great fervor here. Mahasivaratri festival is also celebrated with great religious fervor. 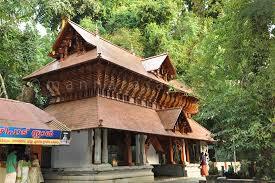 By Road : There are many public and private vehecals available to reach Mannarasala Sree Nagaraja Temple Kerala. By Rail : The Nearest Railway station is Haripad Railway Station .